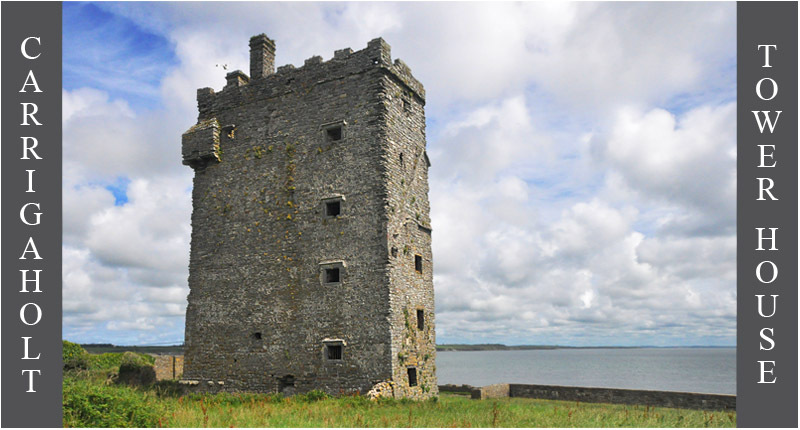 This five storey tower house was built in about 1480 by the MacMahons, the chiefs of West Corkavaskin on the Loop Head peninsula. 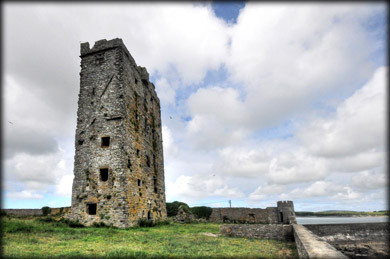 The castle, which offers commanding views of the Shannon Estuary, has quite a turbulent history. It was occupied by Teige Caech "the short sighted" McMahon in September 1588 when seven ships from the Spanish Armada anchored in the estuary. 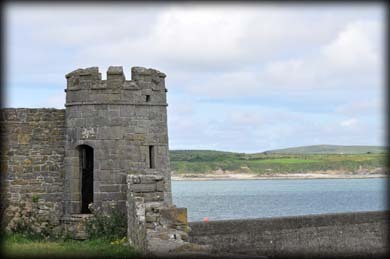 Even though the MacMahons offered no aid to the Spanish the tower house was unsuccesfully besieged by the Sir Conyers Clifford, the Governor of Connacht. The following year the castle was captured by the Earl of Thomond, Donagh O'Brien. The last siege of the castle took place in 1649, when it was taken by General Ludlow. The last MacMahon in residence was Teigue Keigh before it was granted to Henry O'Brien by Queen Elizabeth. The last inhabitants were the Burton family, who lived there until the last part of the 19th century. This must be one of the slimmest five storey houses I have seen, being the width of just one room. There is a bartizan high up on the northwest corner. 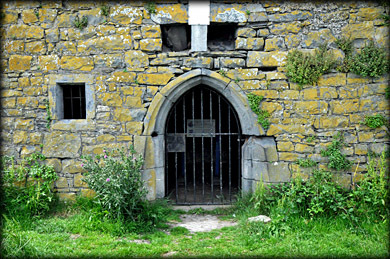 The pointed doorway in the south wall is protected by a roof level machicolation. 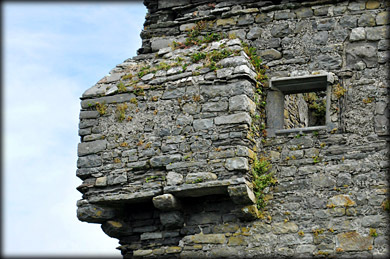 The tower house is enclosed by a later bawn wall with a corner turret at the northeast. Situated: From Kilkee head south west on the R487 for 7 kilometres then turn left onto the R488 for another 3 kilometres. Keep right through Carrigaholt village before turning left for the castle. Discovery Map 63: Q 8486 5120. Last Visited July 2014.